UPDATE, MAY 16, 2016: Bilgin says hull construction on the Bilgin 263 started in March. It anticipates starting the superstructure in July. Read on for the rest of our original article. She’s known for now as Bilgin 263, reflecting her LOA in feet (the equivalent of 80.1 meters). In three years’ time, when she’s set for delivery, she’ll be the biggest megayacht yet from the Turkish yard. Istabul-based Bilgin signed the contract for the project last October, for a repeat client. In fact, she marks the third yacht so far with this owner. 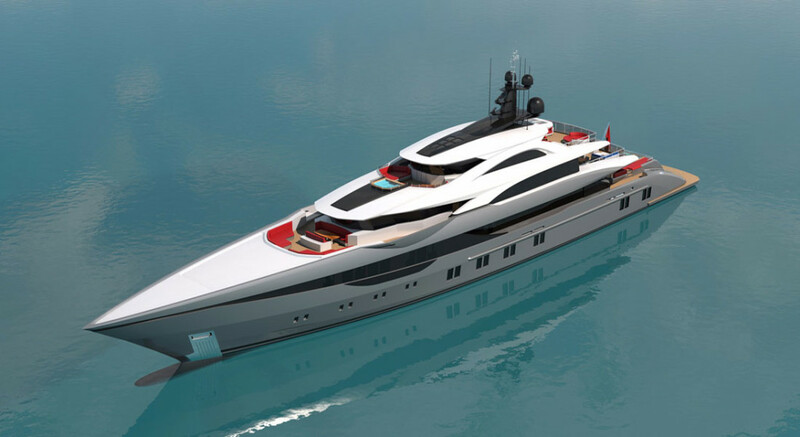 The Bilgin 263 will additionally become one of the biggest boats built in Turkey, besides becoming the yard’s biggest. Volume will be as significant as LOA: 1,325 tons of displacement at full load. For comparison’s sake, the largest Bilgin afloat is a Bilgin 164 christened Dusur. She was delivered last year. Bilgin is also known for two classic replicas, Timeless and Clarity; both are Bilgin 160 models. Unique Yacht Design is handling the profile and engineering for the Bilgin 263. If that name is unfamiliar to you, it’s a brand that Özgün Yacht Design owns and uses for styling and naval architecture services. Özgün Yacht Design has previously worked with Bilgin on a few projects. The Bilgin 263 will bear a beam of 40 feet (12.2 meters) and comply with ABS and LY3 regulations. Bilgin anticipates cutting the first steel plates for the hull in March. Drawings are still being finalized at this stage. That includes the general arrangement. So far, though, we know that the Bilgin 263 will have three VIP suites and four guest staterooms, in addition to the master suite. 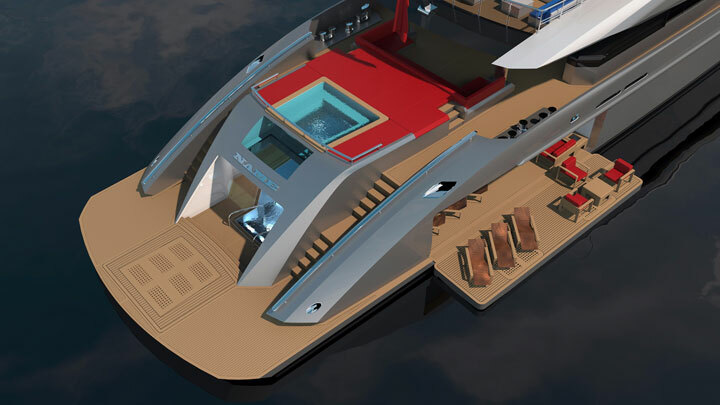 And, judging from the renderings released (above), two pools and fold-down platforms characterize the aft decks. Tank tests, scheduled for later this month, are expected to confirm computer calculations of a 17½-knot top end and 15-knot cruise speed.